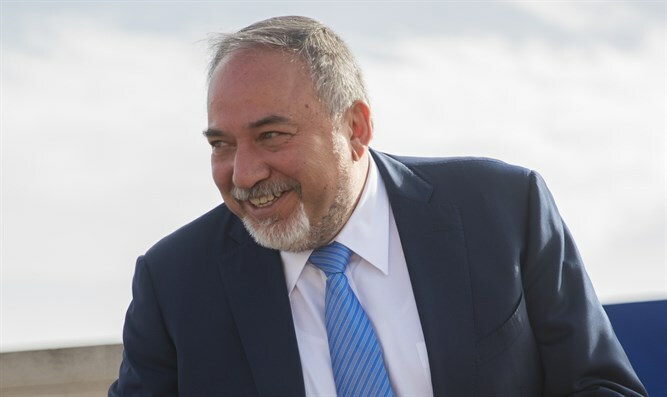 Ron Kerman, the father of Tal Kerman, who was murdered in a terrorist attack, is skeptical of Defense Minister Avigdor Liberman's statements promoting the death penalty for terrorists. "I don't believe this, we are sated with promises; it's all lip service," says Kerman in conversation with Arutz Sheva. "The law already exists and if you want to administer the death penalty there's a way, especially in Judea and Samaria. But from the outset, there's no panel of judges at the level that can mete the death penalty, and the prosecution doesn't demand the death penalty. "The leaders go to the homes of mourners and they say every time there's a death penalty, but in practice it doesn't happen. The judges don't impose the death penalty, and the prosecution doesn't ask for the death penalty," he said. "Even if they pass the law there'll be a lot of noise in the country and it'll take at least another 10-15 years until it happens. "The politicians are warming the engines before elections, before we see them demolishing terrorist's houses and trying to deter them," Kerman says, "Unfortunately, we do not speak the language of the Middle East, and it costs in blood. "Today the other side has nothing to lose. If they go to jail, the families receive salaries so there's nothing to deter them. The whole story of the death penalty is for public consumption and I suggest that politicians play more convincingly."